After the release of google chrome, it is available as a download link to small file called ChromeSetup.exe which is of 474kb size approx. 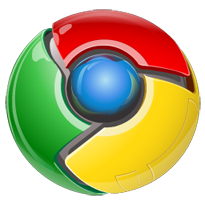 ChromeSetup.exe which then download and install chrome on your machine provided you have internet connectivity. But, when you don’t have internet connectivity on a system on which you want to install google chrome then you should download offline installer for google chrome which is around 7.35 MB approx. do the chrome have an auto-select option?? it does not automatically store the search history?? ?